Food & Recipes Archives - Page 2 of 11 - Baby Doodah! Happy Sunday! I’m so happy to have you here! 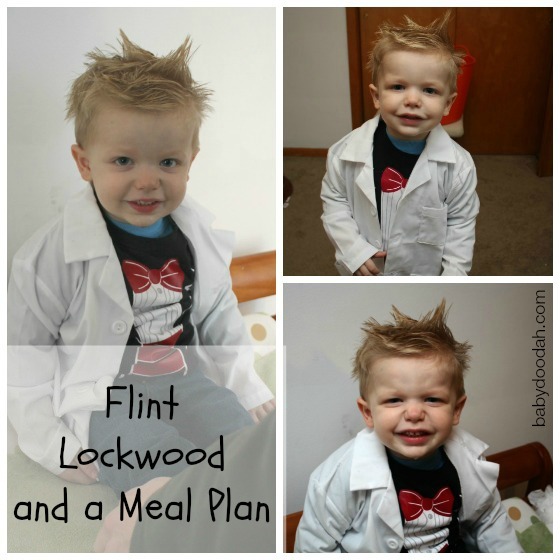 Before I get into the meal plan, I wanted to just talk about what a sweet little boy Emmett has been. Why? Because I love him and because I’m a proud momma. He’s been so full of pleases and thank yous and it just warms my heart each and everyday. This morning, Seamus said he woke up and was telling him thank you for everything, getting him out of the crib, changing his diaper, giving hugs, etc. The best part for me is that he is using please and thank you appropriately. He doesn’t seem to have any confusion on when to use please, thank you and you’re welcome. I love it! I realize it might seem pretty silly to some, but when you have a child, you are just so proud of everything they do. Ours was pretty awesome! Saturday I got up early and headed to Starbucks to get some of my work done. I have a desk at home, but as soon as Emmett starts waking up, I lose my concentration. I had a lot to do and wanted to be productive, so I showered and headed out. I’m glad I did, too! I got so much accomplished! When I got home, Emmett and I spent some time playing with Play-Doh (Emmett is partial to the Play-Doh fun factory – affliate link). With the this set, there is a mother, father, and boy cut out. He had me help him make one for each of us. Then he took the mother and father and had each of them say I love you to the other and then give each other kisses. It was the sweetest thing! I’m so glad that we’re showing him what a loving and happy relationship is all about. We also headed down to visit my parents which was really nice. It’s always so laid back there! 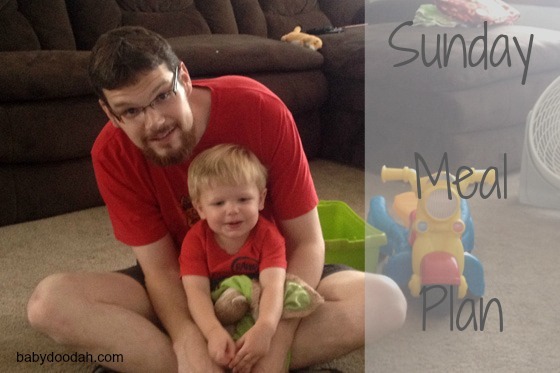 Emmett plays and we chat, he loves playing with all the different toys that grandma has! Today will be filled with laundry, grocery shopping, food prep and tidying up. Nothing exciting, but all things that need to be done. I’m linking up with Laura from Mommy, Run Fast! and Jill from jillconyers.com, be sure to stop over and link-up your meal planning posts. Anything fun, new or interesting on your meal plan this week? I’d love if you shared in the comments below! Hi guys! I have a confession to make – I’ve been super lazy with my posting lately, I’m not saying that I don’t enjoy posting or that I don’t want to post, just that I’ve been lazy. Lately, every time I’ve sat down to type, I’ve gotten distracted by one thing or another, time passes, and nothing has been written. For whatever reason, I haven’t been able to keep my head in the game. Last month, I thought the reason was because I hadn’t made my usual monthly editorial planner. When that happens I tend to get overwhelmed with ideas (not a problem for some), and when I get overwhelmed and have no plan, I end up essentially throwing in the towel and wandering Facebook (feel free to like me on my Baby Doodah! FB page) or going through my email. Both pretty easy tasks, but nothing that helps get me closer to accomplishing my goals. So,if you’ve been wondering why you haven’t seen a lot of new, fresh content, this is why. I’m sorry about that! I haven’t been absent, I login to Baby Doodah! several times a day, adjusting things behind the scenes, just haven’t been as great about sharing new posts. I’m hoping that by coming here, confessing to all of you, that I will get my head on straight and WORK. I hope you’ll all be coming along for the ride!! I have some new and fresh ideas brewing and I want to get more professional and focused with my writing. It feels really good to come clean to all of you! Thanks for listening (reading)! We’re traveling out to Syracuse on Friday to go see The Tenderloins (yay! CANNOT wait! We love their show, Impractical Jokers and are stoked to see them live) and spending the night. We likely won’t return until late Saturday, so we won’t need meals for those two days. Hopefully, this will lend itself to a cheaper grocery week. If you struggle to make a meal plan, you should check out my post from last week, with my tips to making a meal plan. Alrighty, so that right there is my confession and my meal plan. 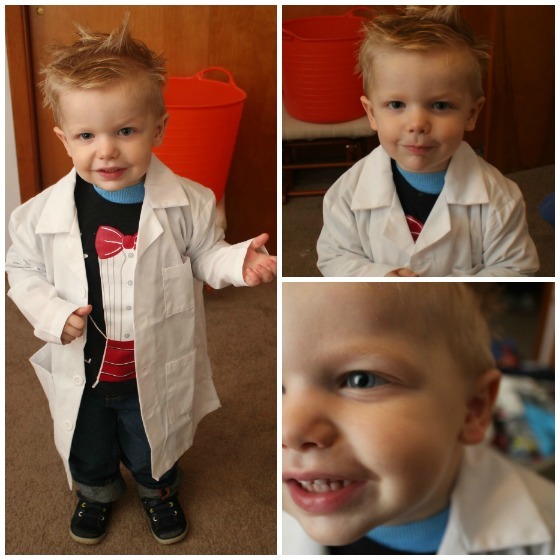 As usual, I’m linking up with Laura from Mommy, Run Fast! and Jill from jillconyers.com. Join us and link it up! Do you have any confessions you’d like to make, or get off your chest? Share in the comments below! Looking for a quick, easy and FREE way to get your news? Check-out theSkimm and sign-up for your daily email box delivery of the world’s news, plus if you share your birthday, you get it listed at the bottom of the newsletter on your day. It’s like celebrating with thousands of people!!! Another great weekend is nearly in the books. We have had an astounding weekend. Saturday we went to Dunkirk to celebrate my dad’s birthday. His actual day was this past Wednesday the 13th, but weekends are always easier to celebrate on. We had a mini-BBQ, lots of hot dogs, hamburgers and pasta salad. I didn’t eat the greatest but it was really delicious! 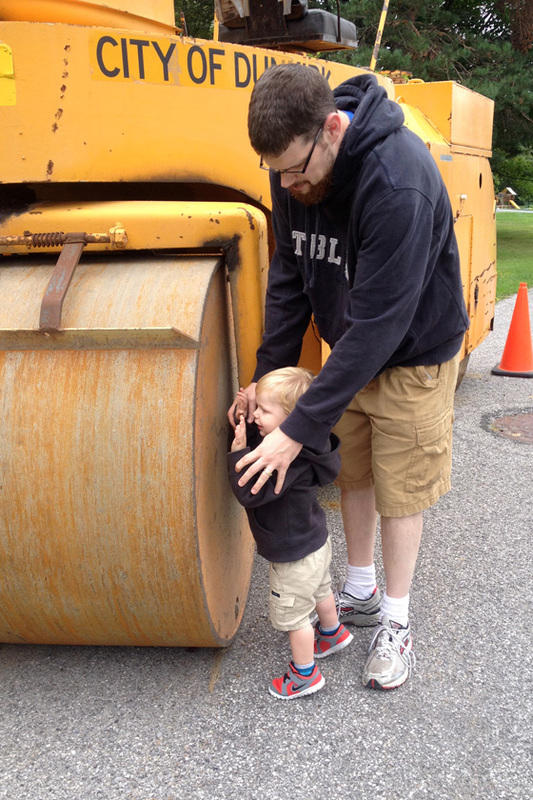 One of the best parts of Saturday was that Emmett got to meet one of his idols, Rolley. 😉 He seriously loves Bob the Builder and was so excited when we took a walk by my mom’s house and they had this cement roller there. I wish I had video’d the whole thing, his excitement was ADORABLE! Ah well!! In the end it worked out. I pulled my laptop out while he watched TV, I got a few odds and ends done, and then eventually I made him breakfast. After breakfast, we woke Seamus up, mainly so I could get to our hamper and start our laundry. I’ve gotten 4 loads of laundry done, grocery shopping, food prep and some Beachbody stuff all complete and it’s only just 3 pm. Feels good to be so productive!! 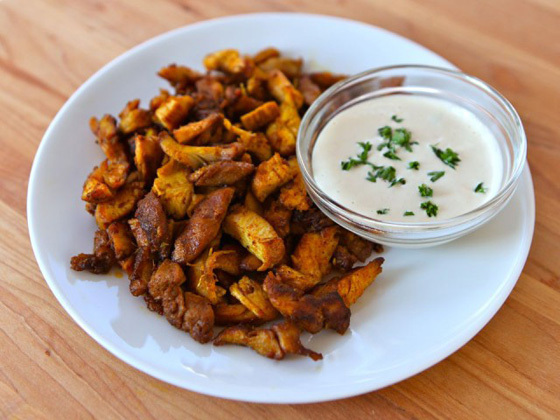 This weeks’ meal plan has some new recipes on it, ones that I am REALLY excited to try!! The BBQ Bacon Hot Dog is going to be a Seamus creation. He went to a food truck that sold that type of hot dog, but didn’t get the chance to try it, so now he wants to make it at home. We’re saving it for the weekend, since we like to be less indulgent during the week. I’ll be sure to report back on how delicious (or not) it ends up being. Like I said, we’re trying a few new things this week and I am very excited about that! 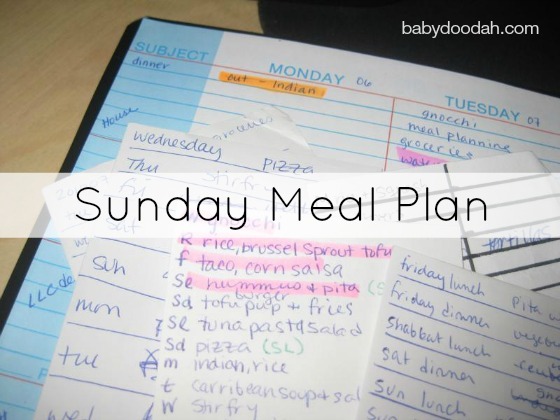 We needed to spice up our Sunday meal plan. It’s been awhile since I’ve done a What I Ate Wednesday post in it’s regular form, but it’s been especially long time since I’ve written about how I’m doing with Binge Eating Disorder. Since it’s been so long, I thought it was a good time to revisit. I have lots to share! I believe that B.E.D. is never something you truly get over. Just like any addiction it is with you forever, you just learn how to cope. Right now, I think I’m in the beginning stages of successfully coping with the disorder and overcoming all the struggles involved with binging. A few months back, I was in a rough spot, both physically and mentally. I had hurt my back, could barely move, and my mood and feelings toward myself plummeted. I didn’t know how to fix the situation and did not want to go to physical therapy for my back (I had gone before and it made things worse), and for my mood, I knew all I need to do was exercise and eat better. So, I did the one thing that I always turn to in situations like this, I read. I read everything I could get my hands on in regards to healing a bulging disc naturally without surgery or serious pain meds (I was definitely popping ibuprofen, though). I read books upon books and articles upon articles about B.E.D. I wanted to know everything I could know about the disease itself and I wanted to learn some coping methods that have helped others. Months went by and my back slowly got better. I stretched like I needed to and should have been doing all along, and slowly the pain lessened. As for the B.E.D., there are three stand out things that have helped me become stronger and better able to say NO to a binge. The first, is my personal pep talks. Every time I start to crave junk, or am getting the urge to run to McDonald’s for a burger, I talk to myself. Not out loud (but that would be okay too), but to myself. I pause, doesn’t matter what is going on, I stop my thoughts from running towards food and I really think about what is going on with me. Most of the time it is boredom, or some unnecessary craving. Then, once I’ve realized why I am desiring something so bad for me, I tell myself that I don’t eat like that any more. I literally say that. I remind myself that the old me would run to McD’s and buy WAY too much food and eat it all, but that you no longer do that. And you know what? It works! The mind is a very powerful thing and works wonders when it is engaged. The second, is writing down EVERYTHING that I put into my mouth. Every single bite, lick or taste, goes into my cute little green Moleskin (affliate link). I don’t track calories, I just eat 80% clean whole foods and 10% junk, but I ensure that everything I eat goes in that book. In addition to the food I’ve eaten, I also include the feelings I’m having, or anything else running through my head. It helps keep me focused. I’m not perfect, there are days when only breakfast gets written down, or I forget about my snack, but I try darn hard to just carry it with me everywhere and to write everything down. It’s working because it is making me very conscious of the food choices I am making. Finally, is Shakeology. I know I’ve mentioned this a few times, and I know people are still skeptical. I get it, I was too – but there has never been a food or drink before that has helped me curb cravings like Shakeology. So, I will sing its praises from the rooftops. Plus, it really tastes awesome and is like my own little super healthy daily dessert. I’m not cured. I definitely still have binges and cravings still occur, but they’re smaller, weaker and I’ve set myself up with some great strategies to overcome them. I am still reading loads and loads of articles and self-help books, because there is almost always more insight that can be gleaned from them. Something that might help me, or may help someone else I love and care about is worth spending the time to find. 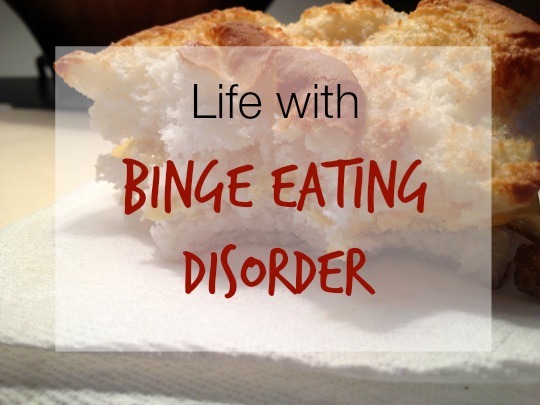 If you’re interested in reading all of my binge eating disorder story, you can click here. Have you ever heard of B.E.D. before? If you struggle with Binge Eating Disorder, do you have any methods that keep you focused and away from binges? I’m linking up with Peas and Crayons! Thanks for hosting! Phew! Is it really Sunday evening already? Boo!! We had such a fantastic weekend. We had no set plans, but we managed to enjoy ourselves fully!! Saturday, Seamus took Emmett to run a few errands and then to the playground for some father / son bonding time. Not really, it was more because momma had a lot of work to get done and Seamus was thoughtful enough to take him out. That evening we went out for pizza, mainly because we had forgotten to pull anything out of the freezer for dinner. Whoops! Not that I minded pizza, though! We went to Blasdell Pizza for their chicken finger pizza which is amazing. We don’t go out there often because it’s a bit of a trek, but it’s always well worth it when we go. When we got home, Emmett wanted to watch the movie we got him for his birthday, The Lego Movie. We got it mainly because the main character’s name is Emmet (with only one t), but also because it looked good, and it DID NOT disappoint. Super cute!! Sunday, was an even more laid back day. I got up early, around 5, made coffee and went right to work on some things for the blog and for my fitness business. (BTW – It really does feel fantastic to be so motivated!) Once Emmett started stirring, I went in and got him and we all cuddled in bed together for almost an hour. It was HEAVEN!!! Eventually we showered and made our way to Wegmans, but it was so nice to be so leisurely. After shopping, we had lunch, Emmett napped (I also napped) and then we went out for Ice Cream to our local favorite spot, Anderson’s. Afterward, we, of course, had to make a quick pit stop to a playground, then back home to play in the backyard. It really was such a lovely weekend, I’m REALLY sad to see it go!! 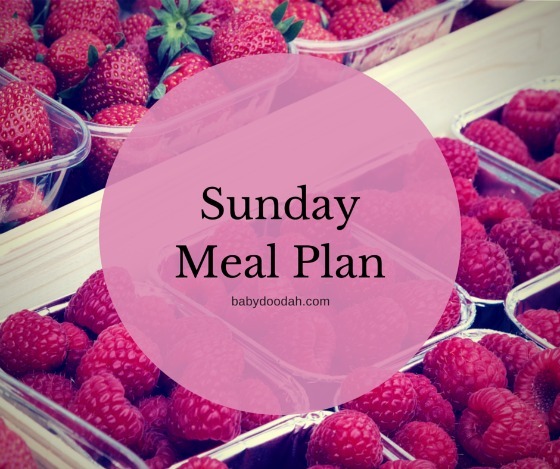 Anyhoo – Onto the Sunday meal plan! A pretty simple week, which always leads to us sticking to the menu!! We need to start budgeting better and eating out less, that’s for sure! I’d love to hear what you have on the menu for the week? I’m always looking for new ideas! Hey everyone! I thought I’d do something a little different today and let a good friend of mine take the reigns and share a delicious (and gluten-free) recipe with you today! Alright Adrianne – take it away! In my (seemingly) never-ending quest to be the poster child for health and wellness (or, more realistically, offset those crazy days), I’m always on the lookout for interesting healthy meals. Enter: vegetables masquerading as pasta. Now I know some lend themselves better to the task (like spaghetti squash, an obvious choice as the name would suggest), but I like to make things difficult. Zucchini? Without a mandolin? Why not? While cutting zucchini into thin strips may be an annoyingly tedious and time consuming process, it was absolutely, totally worth it. As someone who loves her carby carbs, believe me when I tell you that you won’t even miss the pasta. 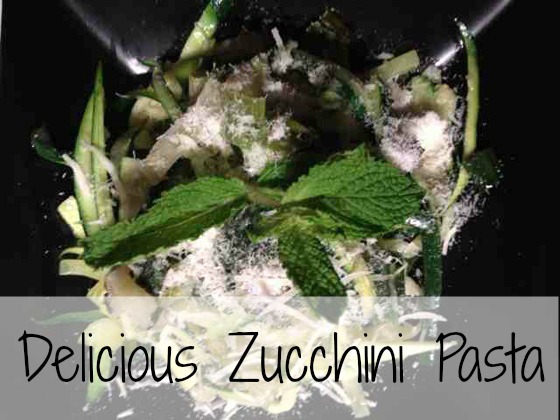 Now, don’t go in expecting the zucchini to taste like pasta, because that would be delusional. But, it makes for a pretty decent substitute, as a veggie with a relatively low flavor profile. I used my zucchini pasta as a sub in my previously-posted pasta with sautéed leeks and mint (link to come later if you don’t feel like searching, but I can’t figure out how to get a link in when posting from the good ol’ iPad), which made for a very Springy green dinner. So. 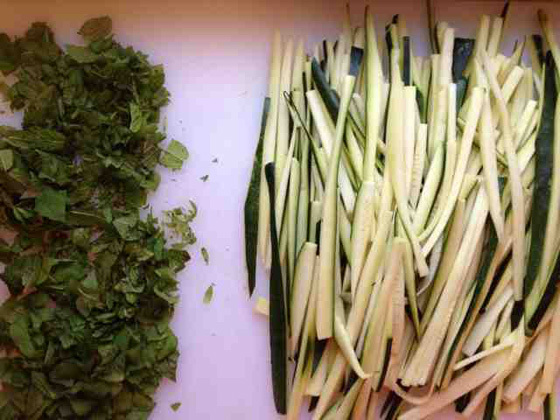 Gather thee thy patience and a good sharp knife, and a few zucchini (duh), and make some pasta without the guilt! 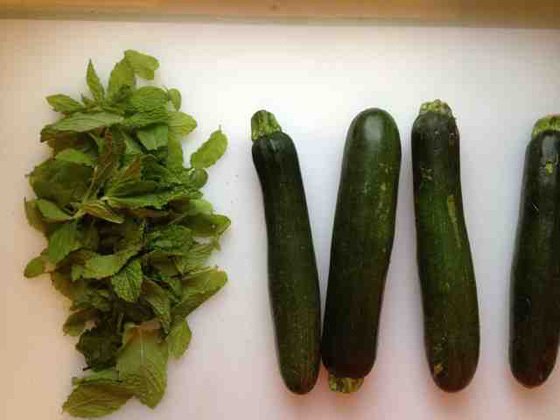 Cut off the ends of your zucchini. Slice it lengthwise to about 1cm thick (aka thin – you’d be crazy to think I used a ruler). Slice each piece into matchsticks. Bring a pot of shallow water to a simmer, and simmer the zucchini for about 4-5 minutes. 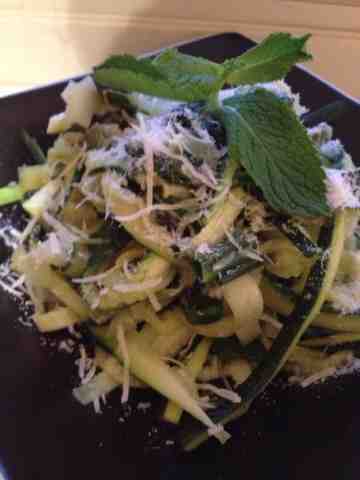 The zucchini should be cooked, but not soft and mushy like it can get (think al dente). 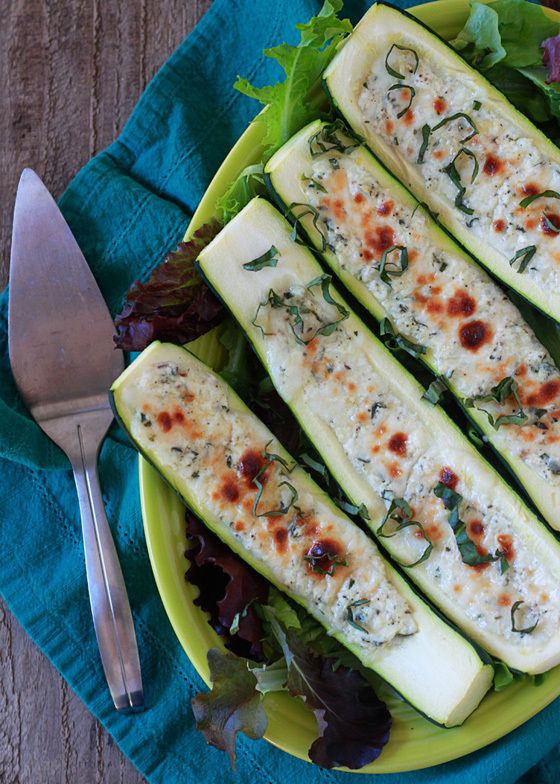 Strain out water and toss zucchini with whatever sauce you’re using. I threw it into the pan with my leeks and sautéed for a couple minutes, for reference. I’m linking this yummy recipe up with Peas and Crayons and What I Ate Wednesday and Weekend Wind Down.